Barnett Spouting haad an industrial gutter machine specially built in 1995 to meet the need for an industrial sized seamless gutter. The machine runs a 7 inch, .040 aluminum gutter with a 3 inch roof flange. The flanged back gutter is usually installed on low slope rubber or modified roof buildings. 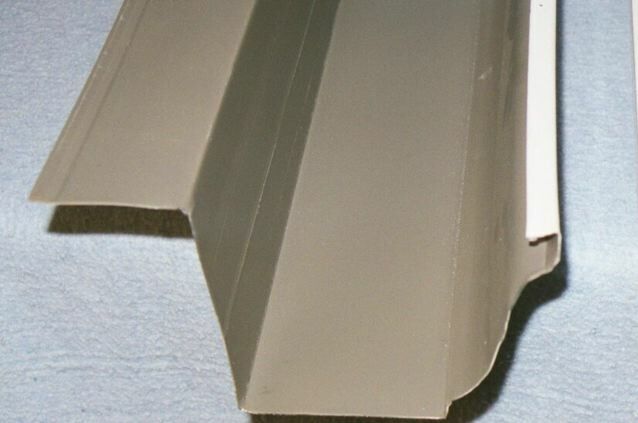 The 7 inch .032 aluminum gutter without the roof flange is perfect for replacing steel gutters on metal buidlings or large buildings like churches. We stock 4x5 aluminum downspouts to correspond with the 7 inch gutters. We not only install 7 inch gutters, but we also do run off deliveries.